It’s one thing to talk about AI and machine learning and try to filter out the nonsense claims of a hundred companies that say they can deliver information about customers, buyers, competitors and your mom and dad; it’s another thing to find someone that has a platform that makes sense of the flood of gobbledygook flowing into your company. 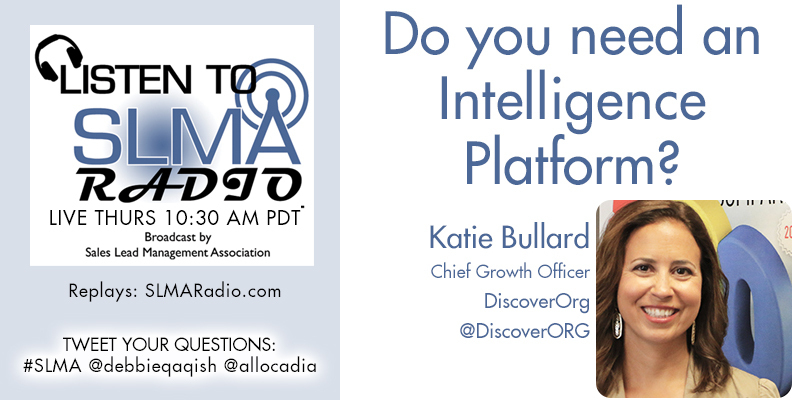 In this interview with Katie Bullard, Chief Growth Officer atDiscoverOrg we discuss what a marketing intelligence platform is and isn’t and why to compete going forward you have to make some decisions on employing an intelligence platform. The host is Jim Obermayer.